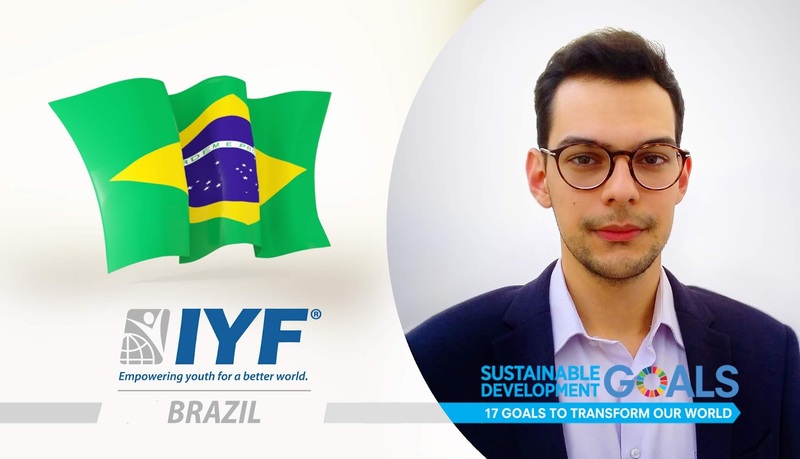 London, United Kingdom: In a statement issued today, the Executive Board announced that Brazil had gained the permanent membership of the International Youth Federation. Throughout Brazil’s history, population growth has been rapid and Brazil is a country of young people. Today, 62% of Brazilians are aged 29 or under according to World Students Report. Our vision at the IYF is to enable the young people in Brazil to get their voices heard and giving talented and motivated young people the opportunity to acquire the skills and knowledge to actively contribute to the development of their societies. Mr. Brunoa is young leader and activist passionate about quality education as a powerful tool for development and inequality reduction. Through his experience, he served as Editor Assistant of the Brazilian Journal of Latin American Studies and worked with national and international students in the last 5 years in Brazil and abroad. He is mostly interested in connecting young people and have been doing so through promoting international education. Mr. Moda holds a Bachelor’s Degree in International Relations from Methodist University of Piracicaba, Brazil.